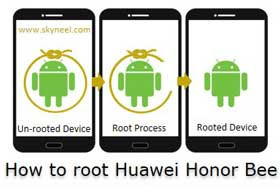 Hi, This is a simple guide for root process of Huawei Honor Bee. This method is easy and safe for root Huawei Honor Bee. So root your phone and enjoy your phone without any restriction. Huawei Honor Bee has Micro SIM android Smartphone which is running on 4.4.2 Android KitKat operating system with 1GB RAM and 8GB internal storage capacity which is expandable up to 32GB via microSD card. Huawei Honor Bee is powered by 1.2 GHz Quad-Core processor with 4.5-inch screen with IPS display and also provide 480 x 854 pixels resolution. This budgeted Huawei Honor Bee android Smartphone also has 8MP rear camera with auto focus, and 2MP front facing camera with fixed focus which is used for taking selfies and video calling. The Huawei Honor Bee has superb performance, you must be Root Huawei Honor Bee, because root allows you to use a maximum of your phone without any restrictions.After root you can install custom Rom, custom setting and apps on your phone. Read Root Advantage and Disadvantage by this post, then follow these steps and root your phone. It is must for you to know that how to unroot your phone or device. When you don’t want rooted phone, then you can easily unroot your phone by these simple and easy steps to unroot Huawei Honor Bee. 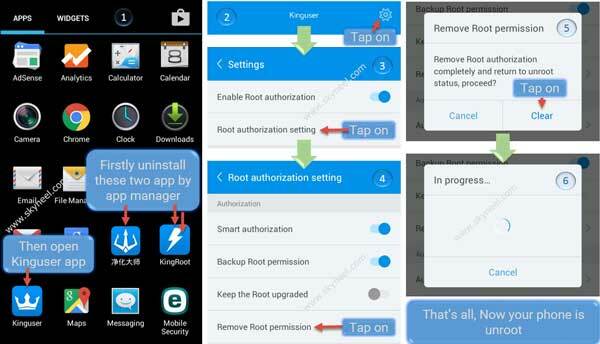 Steps: First of all, uninstall kingRoot app and Chinese language app(see in image 1). Now open Kinguser app then tap on right cone gear icon (setting button). You will see Root authorization setting, tap on it (see in image 4). 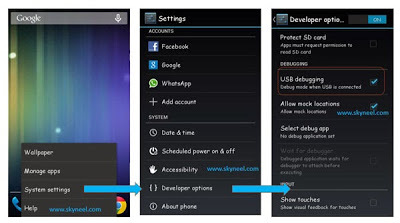 Now find Remove Root permission option then tap on it (see in image 4). You will get a popup tab on your phone screen for removing root authorization, now tap on clear button then unroot process start now. That all, now your Huawei Honor Bee is unrooted. No You can’t increase RAM but after root you can free more RAM. WIll it brick my phone ?? No, it will not brick your phone. Yes, this is possible but Huawei doesn’t launch official lollipop Rom for honor bee. Yes, if Huawei release Lollipop update for your phone and in my knowledge Huawei did not release Lollipop update yet.